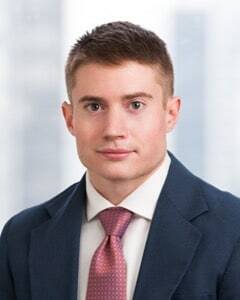 Jesse R. Mesevage is an Analyst with Lax & Neville LLP. He constructs research reports from account statements, details trading and investment activity, assesses risk profiles of these activities, and provides detailed research on standard, OTC, preferred, structured, synthetic, and derivative securities products. Jesse attended the Macaulay Honors College at Brooklyn College in New York, and obtained bachelor’s degrees in Economics and Political Science. Prior to his employment at Lax & Neville LLP, he worked as a Technical Writer and Data Analyst for Galen Press Inc, a pharmaceutical consulting company.